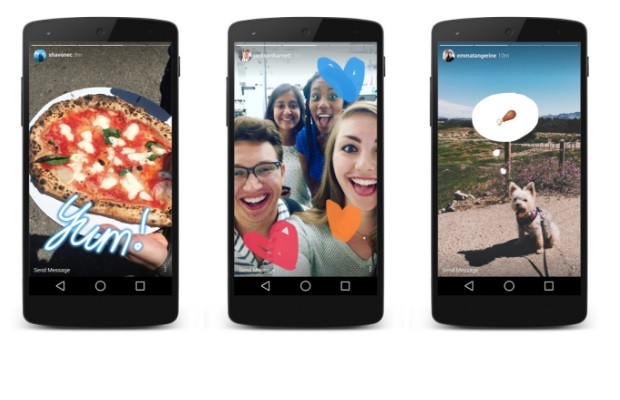 Facebook is testing Instagram Stories on WhatsApp to take on social media rival Snapchat, according to a news report. Techcrunch reports that Facebook has introduced an option for cross-posting updates on both platforms. Like Snapchat videos, these WhatsApp status updates would disappear after 24 hours on the platforms. The ‘Stories’ feature lets users collate pictures and videos into a slide show. The option to cross-share Stories with WhatsApp is not available to all Instagram users as it is still under trial. But it is thought the feature will help regular users of both platforms to save time, by allowing them to post the same content in one move. “We are always testing ways to improve the experience on Instagram and make it easier to share any moment with the people who matter to you,” a spokesperson told the TechCrunch website. Instagram Stories had 300 million daily active users in November and WhatsApp Status has a similar number. It is unclear how popular the new feature will be, as some people may feel more comfortable posting personal updates to one service or the other and will not necessarily want to post to both at the same time. Stories, however, hasn’t had the same sort of success on Facebook or Messenger, where it is being largely ignored. Facebook recently combined Facebook Stories and Messenger Day to create Stories, because people didn’t know why or even if the two features were actually distinct from one another.